I Filed a Lawsuit, But Now I Want to Drop It. . . . Can I Do That? At one point you made the decision to file a lawsuit against someone (or a business) that committed a wrong against you. Maybe that business breached your contract, or perhaps another person committed a tort against you and caused you physical harm or damaged your property. You may have filed this lawsuit on your own (as a pro se litigant), or maybe you filed the lawsuit only after hiring an attorney. Whatever your reasons were for filing the lawsuit and whether you filed it on your own or with an attorney, you are now wanting to drop the very lawsuit you filed. The scenario described above. although rare, is not unheard of. There can be any number of reasons a litigant wants to drop its lawsuit after filing it. It could be the litigant has had a life changing event and they no longer want to focus on the lawsuit (i.e., marriage; children; a new job in a new city/state). Or, the litigant may have learned new evidence during the litigation that changes her outlook of her scenario. Sometimes litigants find out after they file the lawsuit that they do not have the mental stamina to endure the months (sometimes years) of the grueling and stressful litigation process. Of course, it could be that the costs of litigation may start to outweigh any potential benefits of “winning” the lawsuit (i.e., where their business is suffering because they are spending too much time and resources on the lawsuit). Regardless of your reason for wanting to drop the lawsuit, can you simply drop it after you have filed it? You would think so–after all, it is your lawsuit, right? Not so fast. The Arizona Rules of Civil Procedure has specific provisions in place dictating how, and when, a litigant may voluntarily drop its lawsuit. Specifically, Rule 41(a) sets forth the scenarios and circumstances under which a person may voluntarily dismiss its lawsuit after it has been filed. 1. Before the Other Side Files an Answer or a Motion for Summary Judgment. After you file your lawsuit (i.e., your “Complaint”), the other side has to file an “Answer.” Generally speaking, their Answer has to be filed within 20 days after you serve them with the lawsuit. (It could be longer if they live out of state or if the parties agree to a longer time period). As long as the other side has not yet filed an Answer (or a Motion for Summary Judgment, which would rarely be filed before an Answer) then Rule 41(a) allows the plaintiff the right to voluntarily dismiss its lawsuit without any questions asked. The plaintiff can accomplish this by simply filing a Notice of Dismissal with the court. Once the other side has filed their Answer (or a Motion for Summary Judgment), the Plaintiff no longer has an automatic right to just dismiss its lawsuit on its own. Rule 41(a) now requires the other side to agree (or “stipulate”) to the voluntary dismissal, or it requires the plaintiff to get permission from the court for dismissal. Why? Generally, this is to ensure the party you sued is not somehow prejudiced by your decision to want to drop the lawsuit. The defendant could be prejudiced because the court has already made some early rulings in the case that might benefit them and a dismissal might effectively erase those favorable rulings. Or, it could be simply that the defendant is prejudiced because it incurred court costs and attorney’s fees for defending, from its perspective, a lawsuit that the plaintiff should have never filed to begin with and the defendant may feel entitled to reimbursement of those costs and fees. Obviously, once the Answer is filed, the plaintiff is not so “free” to “just drop” its lawsuit. Ideally, the plaintiff will procure the cooperation of the opposing party so the parties may just file a “stipulation” with the court indicating that everyone agrees the case should be dismissed. Usually, a defendant will agree to the dismissal because they are just happy to have the case go away. Lawsuits are stressful and getting rid of that cloud is normally a welcome relief. 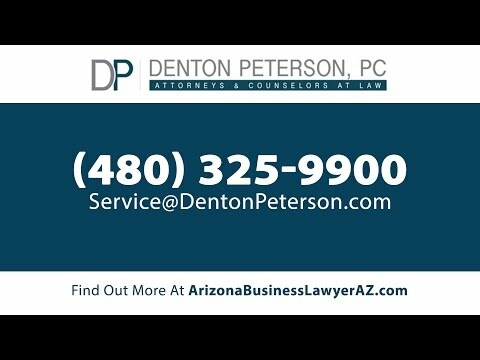 At Denton Peterson, P.C., we have seasoned litigators with many years of experience navigating the complicated process of filing and defending lawsuits. We represent individuals and businesses in all aspects of litigation, including pre-lawsuit planning, ongoing litigation and appeals, and post-litigation strategies. Call us for whatever your personal and business needs are at the moment—in most cases, the best advice you can get is the advice you receive well before any lawsuit begins. I Just Got Served with a Lawsuit. Now what?